Since many Pittsburgh homes are built against hillsides, there is a good chance water will runoff and build pressure against your foundation walls. This can result in your basement leaking and long-term damage. If you own an older home in the Pittsburgh area that was built against a hillside, chances are that water has slipped through cracks in the foundation and leaked into your basement at least once. It may have just been a puddle – and not a three-foot-deep wading pool – but if any amount of water enters your home, there’s a problem. 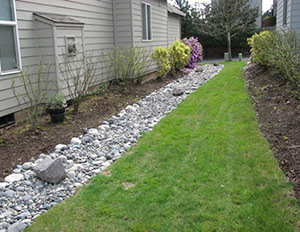 Even if an interior or exterior French drain was installed to control runoff and help prevent a home disaster of this magnitude, there’s no guarantee that pressure from excess rainfall won’t eventually force your basement walls inward. 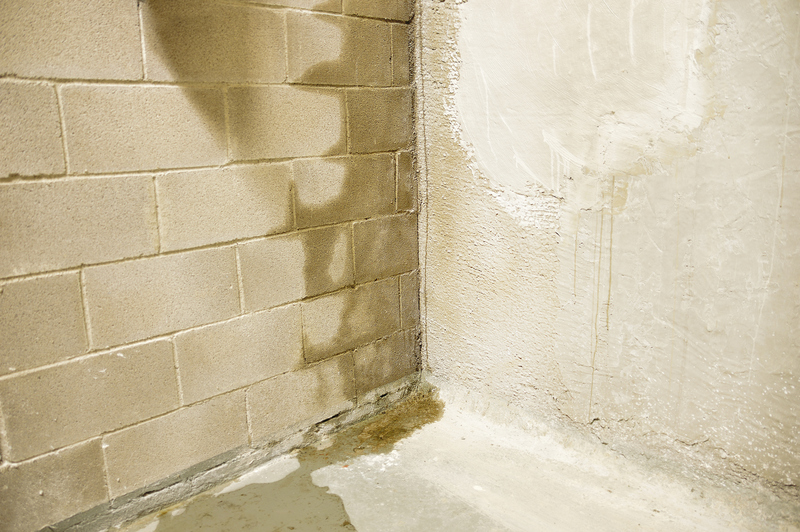 The end result is usually cracks in the foundation and concrete floor and/or a buildup of mold and mildew, all of which are a more costly repair than simply having your basement waterproofed in the first place. That’s why you need to contact the Pittsburgh Drain Guys before unwanted water seeps into your basement, rather than after. Mike and his team are experts in commercial and residential basement waterproofing and are confident that their services will eliminate your problem. Since every basement water issue is unique to the property, our professionals can tailor a solution that fits your individual needs. Notice small amounts of water seepage originating from the walls and a few poured concrete foundation cracks that could be the culprit? We can inject an epoxy solution into the crack to prevent water from returning. Or, constantly have water entering your basement each time it rains and no idea how it’s penetrating the concrete walls? 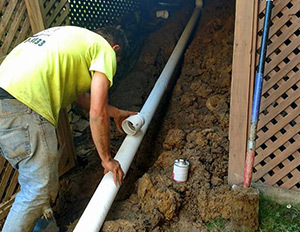 The Pittsburgh Drain Guys have a variety of excavation equipment available and can dig six to eight feet down to the footer to seal the foundation’s exterior with a waterproofing membrane and place new drainage tiles at the side of the footing. This is the only waterproofing method recognized by the International Building Code, a standard adopted by most jurisdictions in the U.S., and one that won’t prevent further structural damage. One out of eight homes in Pittsburgh has waterproofing issues, so don’t let yours become the next statistic. If you want a reputable basement waterproofing company in Pittsburgh that will do the job right the first time, look no further. WHO CAN HELP YOU WITH YOUR WET BASEMENT? The Pittsburgh Drain Guys, of course! Our experts will repair your basement and make sure that the water never returns. Call The Pittsburgh Drain Guys at 412-377-9133 for an ESTIMATE!